Campsite Blue Dolphin is a campsite with 130 touring pitches. During low season, between 01-04-2019 - 14-07-2019 and 01-09-2019 - 30-10-2019, the nightly rate is €20,- at one of the 130 touring pitches at Campsite Blue Dolphin in Corinth (Peloponnese). At this campsite you can not only use your CampingCard ACSI for inexpensive camping, you can also use your ACSI Club ID (as an alternative ID). A campsite suitable for visiting antiquities in the area. 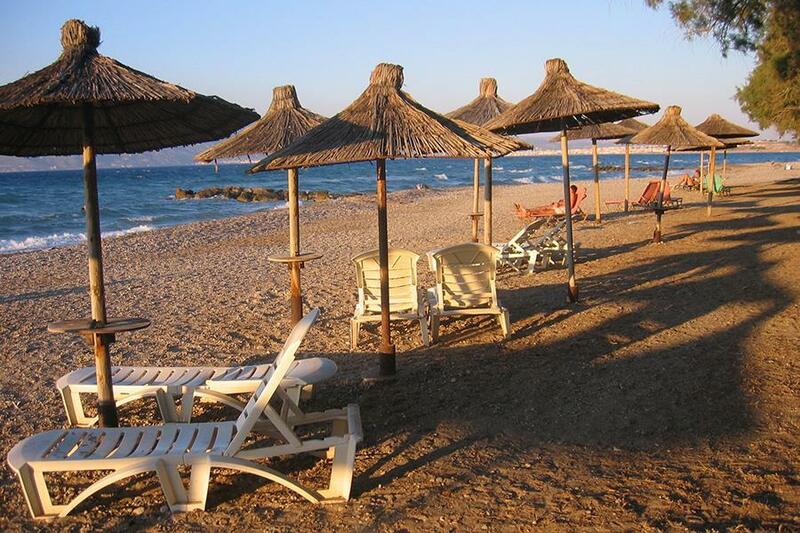 The campsite is situated right by the sea with a pleasant sea temperature. Ancient sights: Ancient Corinth and Corinth canal. A run down site! Toilet facilities are very old and not very clean. Some pitches were difficult to get into, and I think we took up two. Owners were very friendly and helpful. Camping very poor state toilet blocks old and dirty. Pitches reasonable but not good for big campers. Would you like to book Campsite Blue Dolphin or request more information? You can do both using the information below. Athens-Patras exit Anc. Corinthos. Turn right, at roundabout 2nd exit to Lechaio. End of road right, follow signs. Patras-Corinthos exit Anc. Korinthos. At roundabout 3rd exit Lechaio. 2nd roundabout see previous. CampingCard ACSI will send your information request to "Campsite Blue Dolphin".